Hail Caesar! No! Wait a minute! Hail Harry! 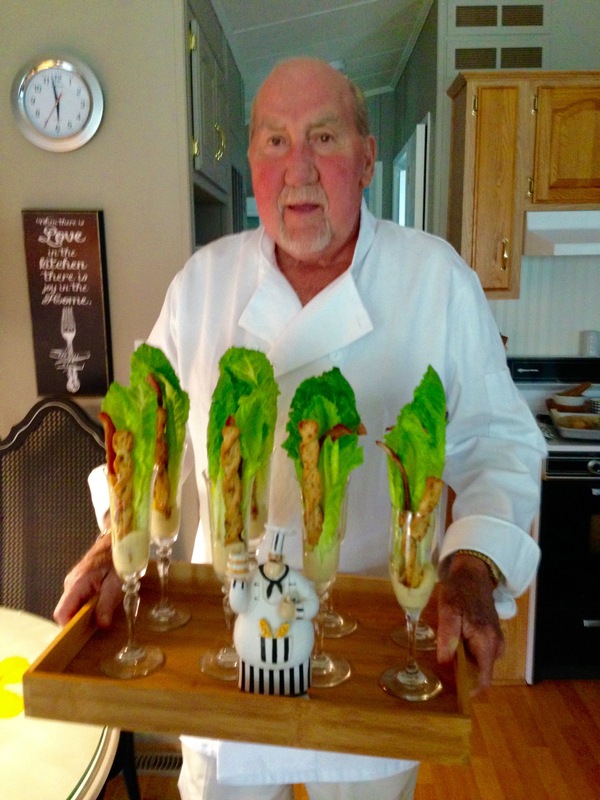 When Harry first began his culinary adventures he asked me to show him how to make my Caesar Salad. I gave him the recipe that I had used for decades and he makes it better than I ever did! I haven’t made it since. We use the dressing to create two different serving styles. One is for regular dinners and the other for parties. The ingredients are classic but I think that Harry really takes his time when he assembles the ingredients, making the dressing a soft thick mousse that clings to the lettuce. All our friends swoon over it. Hold your applause please. When we do parties, Harry places the Caesar dressing into the bottom of a Champagne glass. He makes crouton sticks from puff pasty, and to make it extra special he adds long strips of crisp bacon. The result is beautiful and the taste…. Let’s just say is memorable. Guests dip the trio of lettuce, crouton and bacon into the dressing and you will hear nothing but the inevitable Mmmmmm sounds. Party or dinner the great taste is worth the extra effort. When Harry serves the salad for lunch or dinner, he splits the head of Romaine into long pieces by cutting it from the top of the leaf to the stem. One head of Romaine should yield at least 4 servings, more if it is extra large. Then he lays it on the serving plate, drizzles the dressing over it, shaves some quality Parmesan on top and finishes with our homemade croutons. By serving the salad with the dressing drizzled on top rather than mixed into small pieces of lettuce you assure that the salad stays crisp to the last bite! In a small deep mixing bowl (about 6 inches in diameter) add all the ingredients except the oil, lemon and Parmesan cheese. 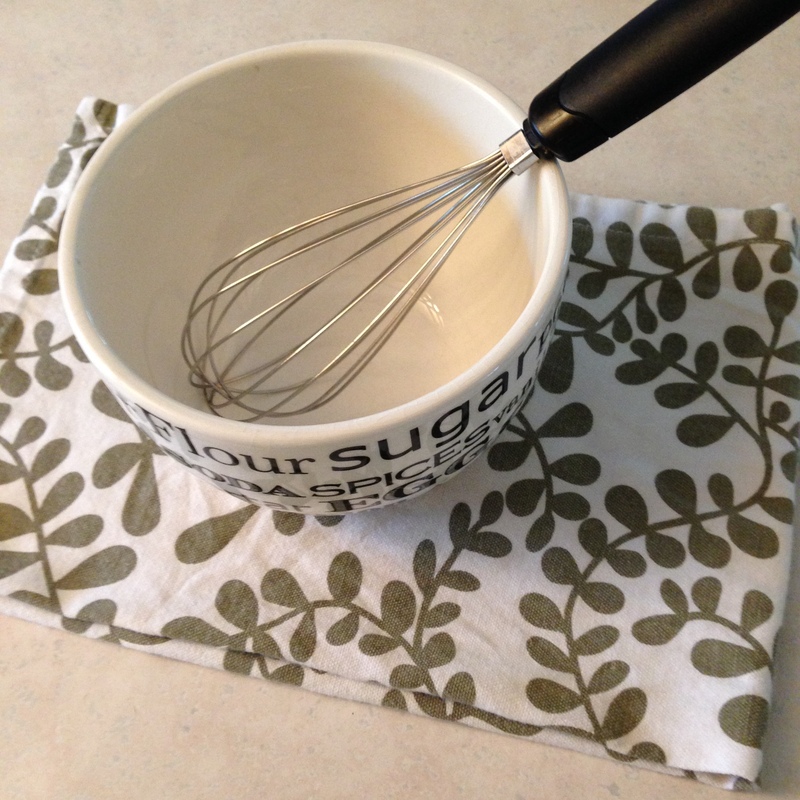 Whisk together to incorporate well. Pour the oil into a 1 cup measure with a spout. Drizzle the oil almost drop by drop while whisking it into the eggs. 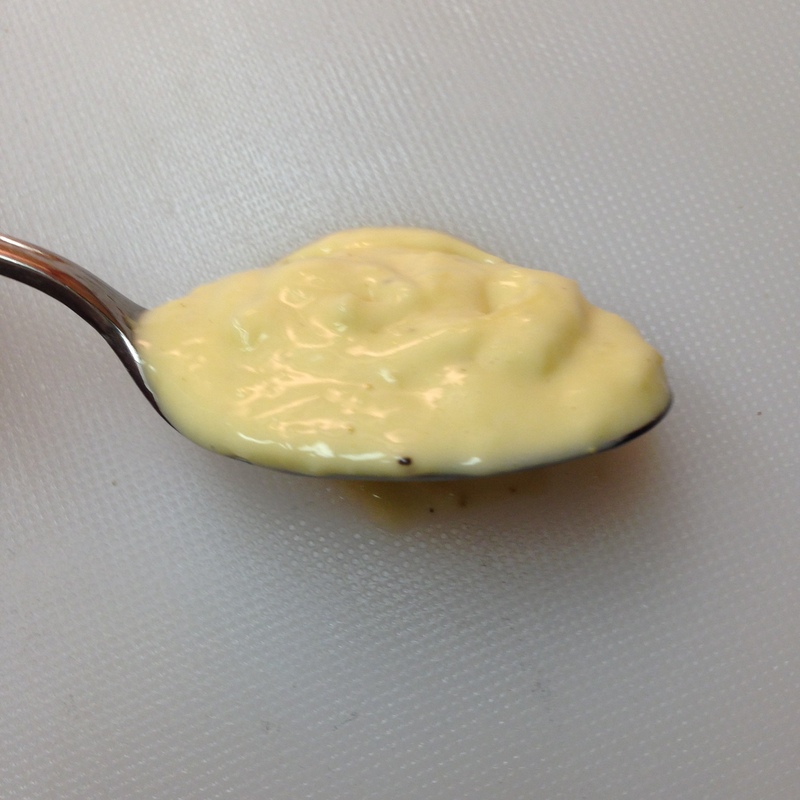 The slow incorporation of the oil at the beginning insures emulsification (thickening) of the sauce. Once you have about 1/3 of the oil blended into the egg mixture, you can add a few tablespoons of oil at a time and whisk briskly after each addition. Once all the oil is incorporated, add the lemon, Parmesan and salt and pepper. This dressing lasts in the fridge for a full week if covered. The recipe serves 8. The more time you spend whisking the oil into the eggs the thicker and richer the final result will be. You are trying to get a sauce that will mound on a spoon. Cook’s Tip: Place a damp towel on the counter. This helps steady the mixing bowl while you stir in the oil. 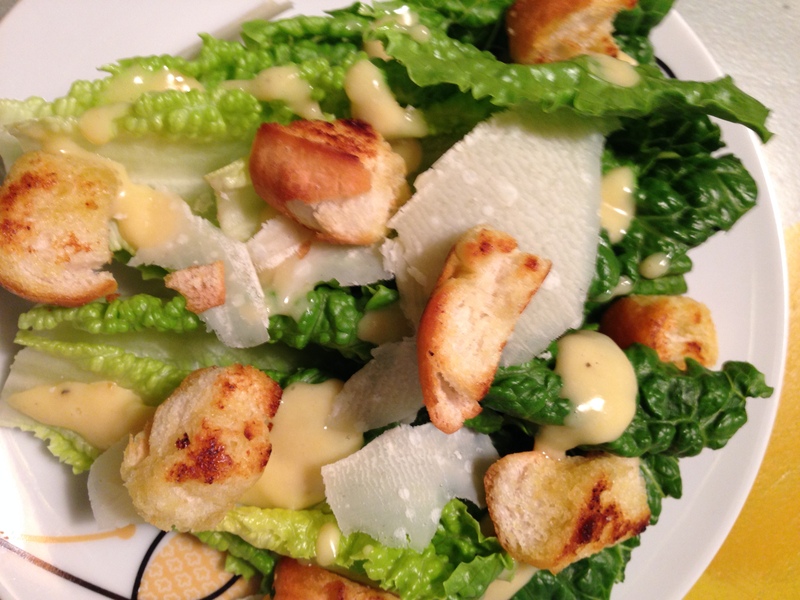 So there you are, our Caesar Salad dressing! If you have a question or comment please use the handy form below to contact us. We love to hear from our readers. Be sure to share your favorite recipes with your own friends on Facebook or Twitter!